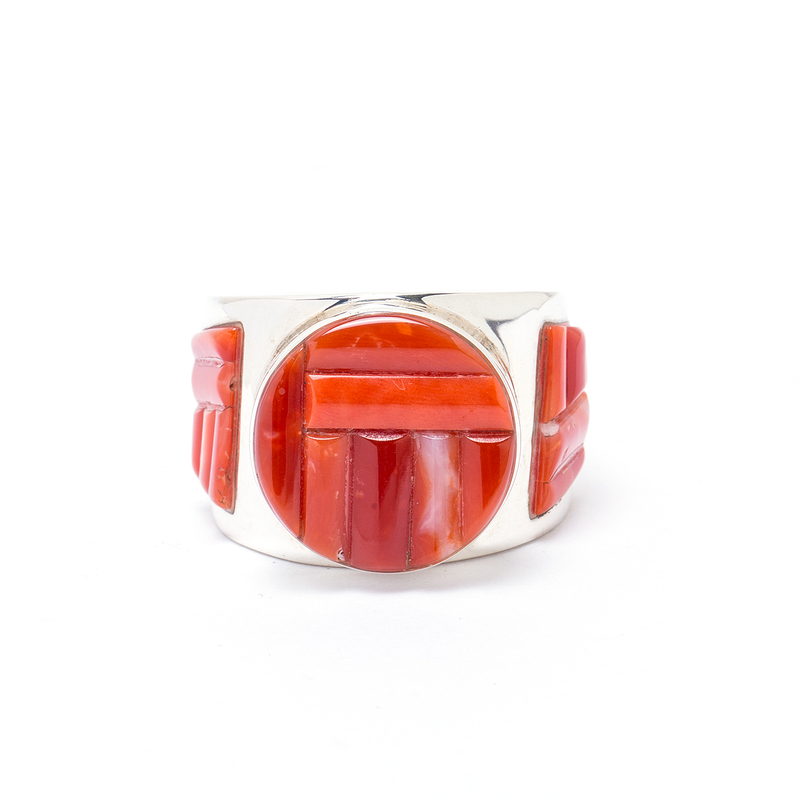 As red as an Arizona sunset, this coral overlay Sterling Silver ring is contemporary and unique. 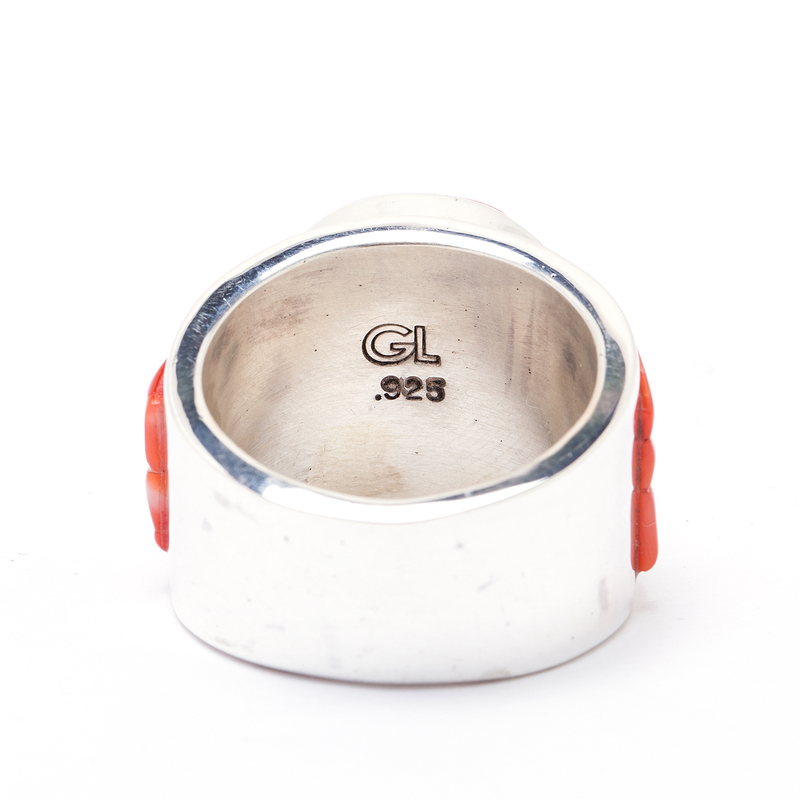 Made by Navajo Native American silversmith GL, this Southwest inspired piece is a must-have for your collection. We can size this for you. 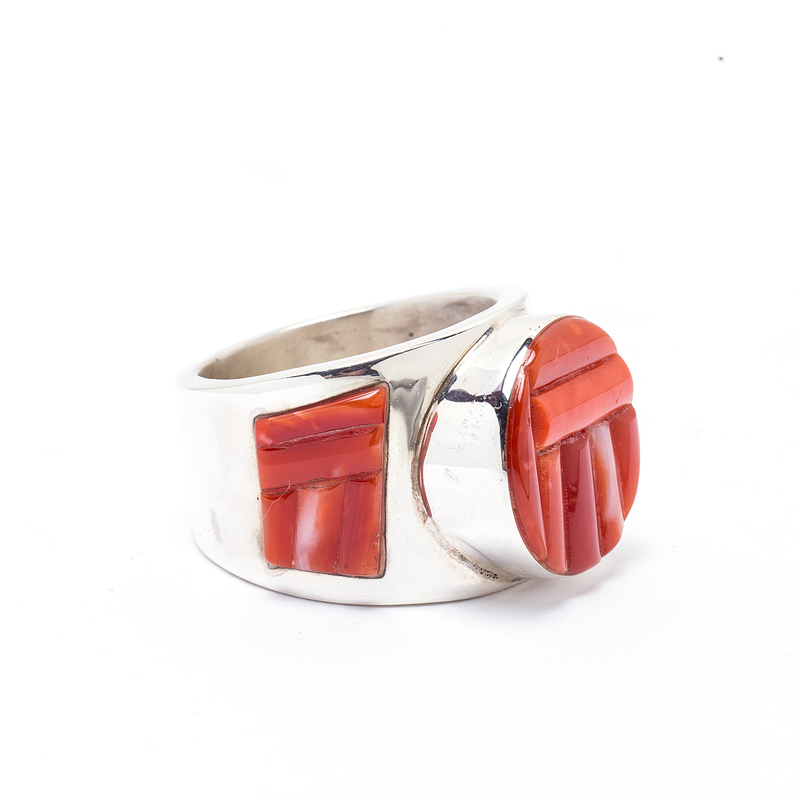 Navajo Artist GL Coral Ring features appealing shades of red Coral done in the overlay style in a Sterling Silver ring.